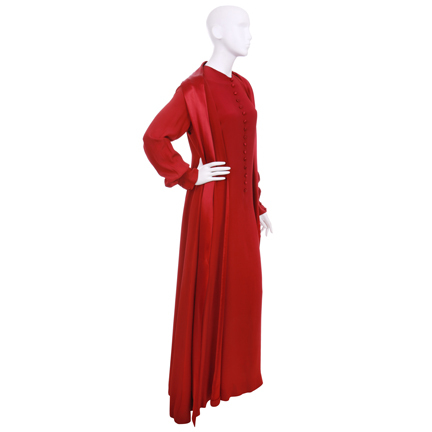 This floor-length gown was worn by “Maude Findlay” as portrayed by Bea Arthur in the hit television series Maude. 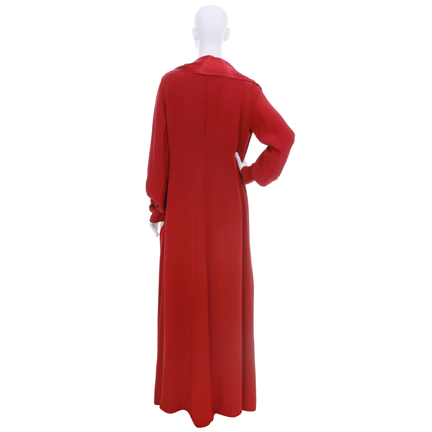 The custom made two-piece ensemble consists of a burgundy floor length gown with matching floor length vest and scarf. 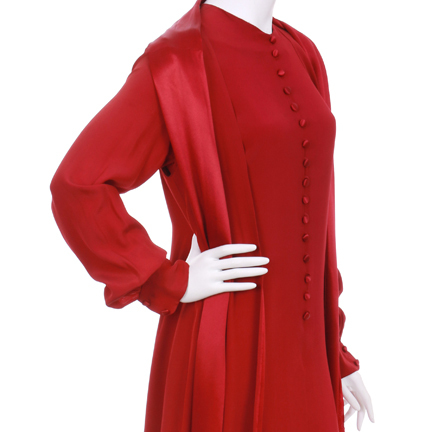 The gown appears purple on-camera and is now a dark burgundy and has slight fading along the shoulders due to age. 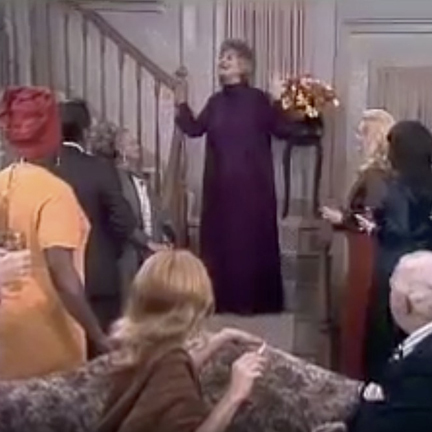 Ms. Arthur wore the ensemble in S1 E5 "Maude and the Radical" during the fundraising event Maude hosts at her home. The party is an odd mix of people including a black militant leader, rich white liberals, and a black couple from Florida that Maude disguised as Africans. She can't take the stress of the event and asks her friend and doctor to give her a Valium. As the night goes on Maude starts drinking and the party evolves into a series of unfortunate events. 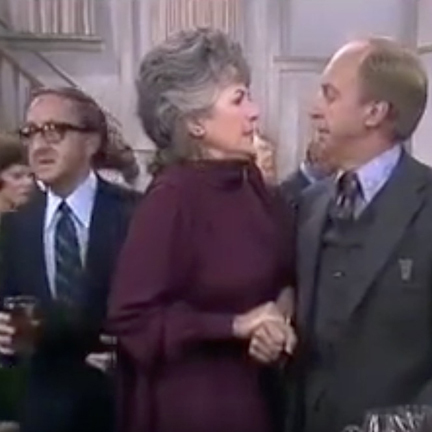 Maude is an American sitcom developed by Norman Lear broadcasted by CBS from 1972 through 1978. Like so many of Mr. Lear’s productions, the series tackled many serious issues head-on. 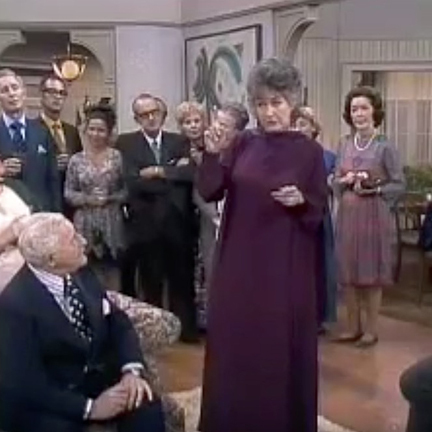 Dealing with many issues the American public faced, but was rarely represented onscreen – Maude was a huge critical and ratings success. 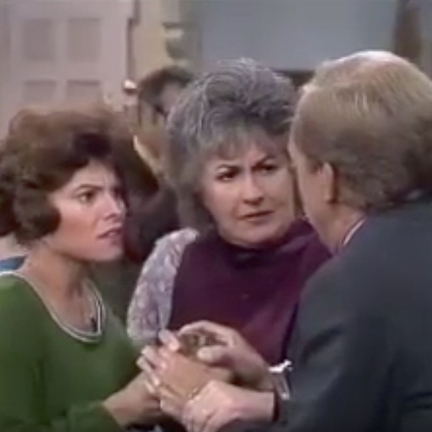 Some of the controversial issues the show tackled were feminism, politics, suicide, the Rockefeller Drug Laws, sexism, alcoholism, mental illness, and abortion. 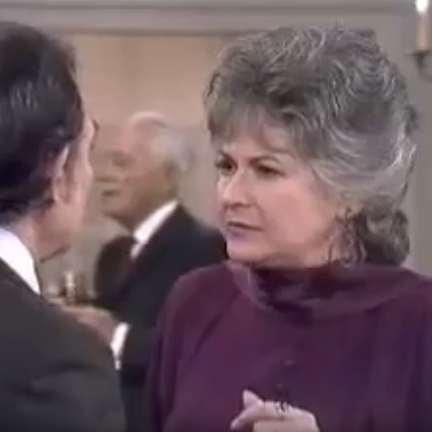 The show was nominated for 12 Emmy awards, and actress Bea Arthur who played “Maude”, won Best Comedic Actress in 1977. 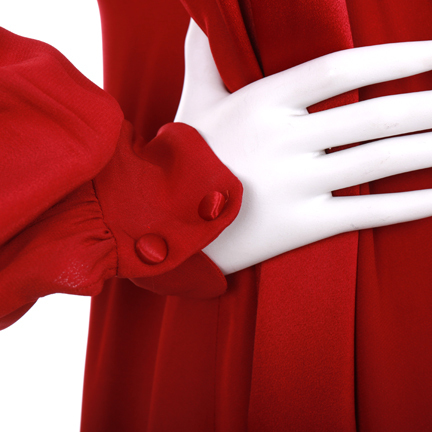 This garment is in good screen worn condition and was acquired directly from the costume designer and head of the wardrobe department for Embassy TV (formerly TAT/Tandem) Betsey Potter. 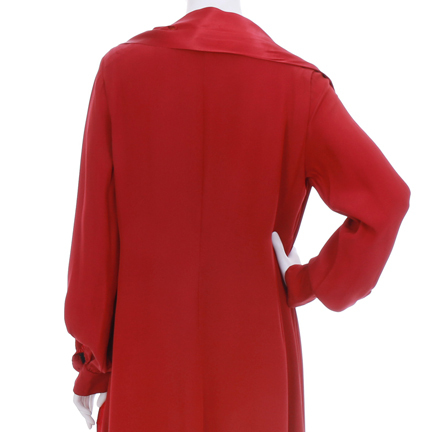 The department also supplied wardrobe to Sanford and Son, One Day At A Time, All in the Family, Good Times, The Jeffersons, and other iconic television shows produced by Norman Lear and Embassy TV.